Another day, another bank has to pay. After Barclays and UBS, Deutsche Bank was fined $2.5 billion to settle claims in the infamous LIBOR interest rate rigging scandal. 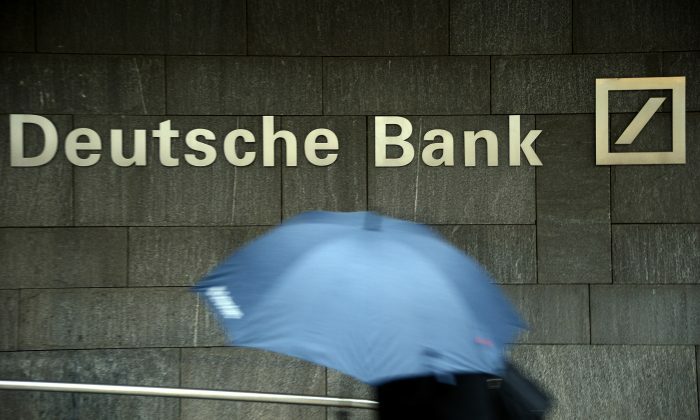 Because this is such a large amount of money ($25,000 per remaining Deutsche Bank employee) let’s recap what happened and see why the fines are not enough. In simple terms, LIBOR (London Interbank Offered Rate) is the most important interest rate in the world. Millions of financial products such as credit cards and mortgages are tied to the rate, usually charging a premium over LIBOR. Nobody apart the participating banks actually pay LIBOR, the rate at which 18 banks in London lend and borrow money to fund parts of their operations. Because of its role as a benchmark, the consumer pays more if it goes up. If it goes down, the consumer pays less but banks and financial institutions around the world that aren’t part of the rate setting process get less interest income as well. So one would hope there was a competitive price setting process LIBOR. One bank can lend money at a cheaper rate and does so because it wants to attract new customers. Or there is so much demand for loans so that banks can raise the rate to make more money. This might have been the case a few decades ago. However, with the advent of derivatives trading, most banks don’t make money lending to other banks anymore. They make their money trading derivatives and other products. Given the oligopolistic structure of LIBOR to begin with (just 18 participants), banks soon figured out they could work together to juice up profits for their derivative books. Trader betting on certain rate outcomes would ask the people at their bank involved in setting the LIBOR rate to set it at a place where it would guarantee them (and by extension, the bank) the most profit. This is not surprising and has been going on at least since 2005 and might still be happening now, even after the scandal became public in 2012 and numerous fines have been levied. Given the cost to the many unsuspecting individuals in the world and the profits the banks made over the course of the rigging, these fines are not high enough. Insider trading in individual stocks seems minute in comparison, yet many people have been jailed for 10 years or more. Time criminals working for large international banks are given the same treatment.